Independent tips on (the world of) whisky, rye, whiskey and bourbon. You can also find us on Youtube, Facebook, Twitter and Instagram. With Rainbow's Tarot Woman blasting through our stereo, we are preparing for a tasting of a new expression of Auchentoshan to the Dutch market. 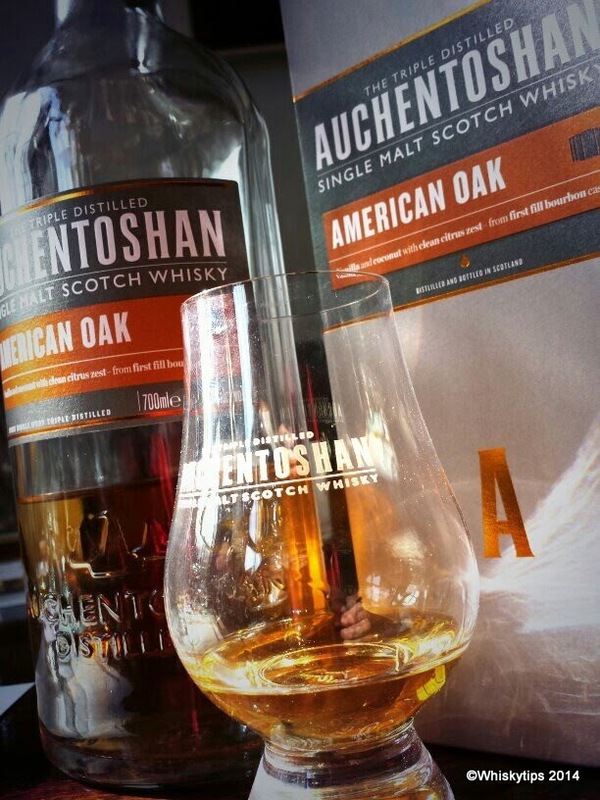 This new Auchentoshan is called the American Oak. It is a non age statement (NAS) Scotch whisky at 40%, with colour added. 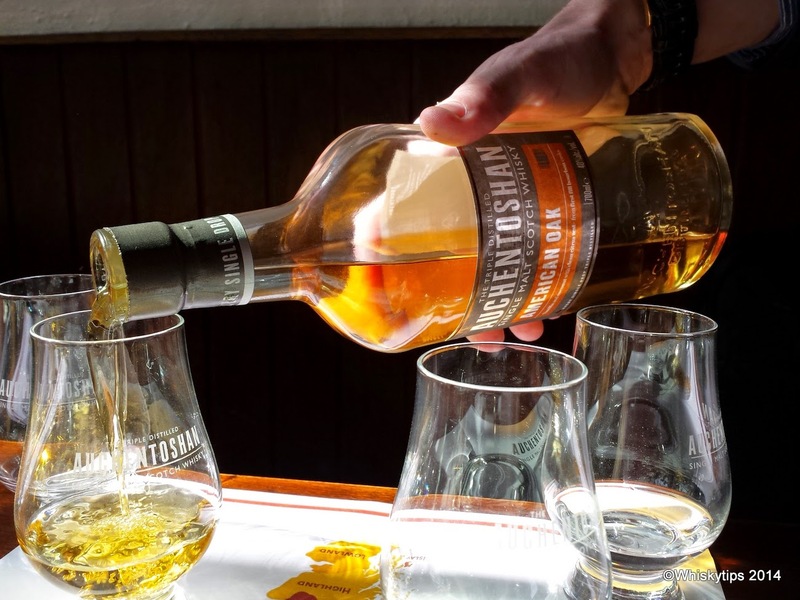 Although these days most Scotch whisky is matured on American oak (lots of supply, relatively cheap compared to scarce sherry casks, good constant quality, good flavour), Auchentoshan (Gaelic for "corner of the field") wants to express the typical flavour that comes off the American bourbon barrels: vanilla, coconut, citrus. And it must be said these notes can absolutely be found in this dram. Now, as most malt fans know, Auchentoshan is the only Scottish malt that triple distills all its spirit. There we could take a sip of the Auchentoshan new make spirit. Very juicy stuff indeed. Our general comment was: why don't you release this stuff for the general market? Excellent base for cocktails for example. This fruitiness comes back in the taste, in a slightly different way. The spirit is more oily, has strawberry and a malty character, after having rested in bourbon barrels for a while, the fruity flavour is more southern: peach, apricot, citrus. Conclusion: To tell the honest truth: we were able to get hold of a bottle two months ago already. That bottle didn't last very long. It's a nice, easy going dram, with indeed some typical bourbon barrels notes in it, that go well with the triple distilled spirit of Auchentoshan. A nice entry to the Auchentoshan range. When you are in in the neighbourhood of Glasgow, do go and visit the distillery. Here you can have a quick peek. More Whiskytips on Facebook, Youtube, Twitter and Instagram. Just google it! Independent tips on whisky, bourbon and rye. New bottlings, whiskeyfestivals, interesting books and places where to buy. Got tips? Send them @whiskytips on Twitter. Also check out Whiskytips on Facebook and Youtube.